"Throughout the last year, the government of President Ortega has brutally and repeatedly repressed anyone who dares to stand up to his administration. 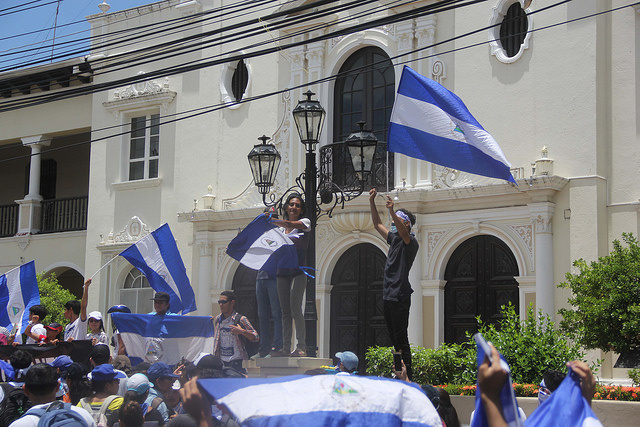 The Nicaraguan authorities continue to violate the rights to justice, truth and reparation of hundreds of victims, while also preventing civil society organisations and international human rights monitors from working freely in the country," said Amnesty International's Americas Director Erika Guevara-Rosas. "This has got to stop," she added. "Violations…coupled with the lack of accountability for unlawful excesses by members of the security forces, have stoked rather than reduced the tensions in the country," said High Commissioner for Human Rights Michelle Bachelet. In December, Nicaraguan police raided TV station 100% Noticias and arrested station director Miguel Mora and news director Lucia Pineda Ubau, both of whom are being held on charges of "inciting hate and violence." The targeting of dissidents and protestors have prompted a massive exodus as an estimated 60,000 people have fled to neighbouring countries including Costa Rica. According to the UN Refugee Agency (UNHCR), many families are taking extreme measures to cross the border after being persecuted or receiving threats making it "overwhelmingly a refugee flow." After several attempted attacks and being informed that he was wanted "dead or alive," Manuel left his banana plantations and fled to Costa Rica with his pregnant wife Andrea and their two children. "We lived with the anxiety of not knowing when they would break into the house to get us…I'm sure if I go home they will hurt me," Manuel told UNHCR. While they are now safe in the neighbouring country, Manuel and Andrea's children are still haunted by their last days in Nicaragua where they were hunted by gun-carrying men in uniform. "My youngest son hugs me every time he sees the Costa Rican police because they look like the officials who attacked us. He hugs me and says that he takes care of his daddy," Manuel said. "The fact that the negotiations have come to a standstill and the Government is not honouring the agreements reached so far, is undermining the possibility of establishing a genuine inclusive dialogue to solve the serious social, political and human rights crisis facing the country," Bachelet said. "A solution to the crisis must address the institutional flaws and strengthen the rule of law…it is of paramount importance that a thorough and transparent accountability process is established to ensure justice, truth and reparations, as well as a clear guarantee of non-repetition," she added, highlighting the need to put victims of human rights violations at the heart of negotiations. Guevara-Rosas urged the government to respect the public's rights including the right to assembly, stating: "The Nicaraguan government must put an immediate end to its strategy of repression and release all the students, activists and journalists detained solely for exercising their rights to freedom of expression and peaceful assembly….the brave people of Nicaragua will not be silenced."